The Old Mill Boathouse, located at Rocky Point Park in beautiful Port Moody, BC, is available for rental. Enjoy the pristine setting with beautiful views of Burrard Inlet and the North Shore mountains. Centrally located, 20 minutes from downtown, Maple Ridge, Burnaby and in the heart of ‘residential’ Vancouver. Combine your meeting or event with some kayaking or a boat cruise with pickup/drop off at the Rocky Point boat launch facilities. The Great Room has a fireplace and exposed heavy fir beams that create a cathedral like feeling to the space. 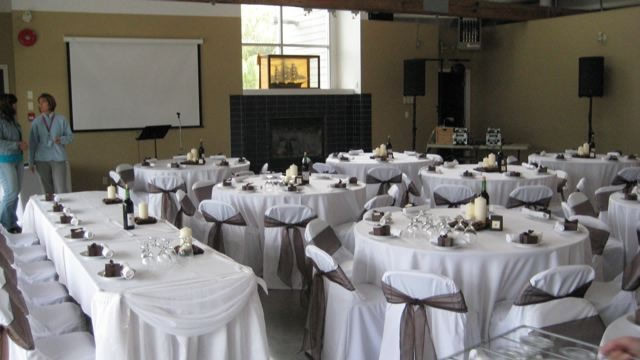 The 1500 square foot banquet hall has a maximum seating capacity of 100 people and is equipped with full kitchen, including Fridge, Stove, Oven, Microwave, Dishwasher, Sinks, etc. 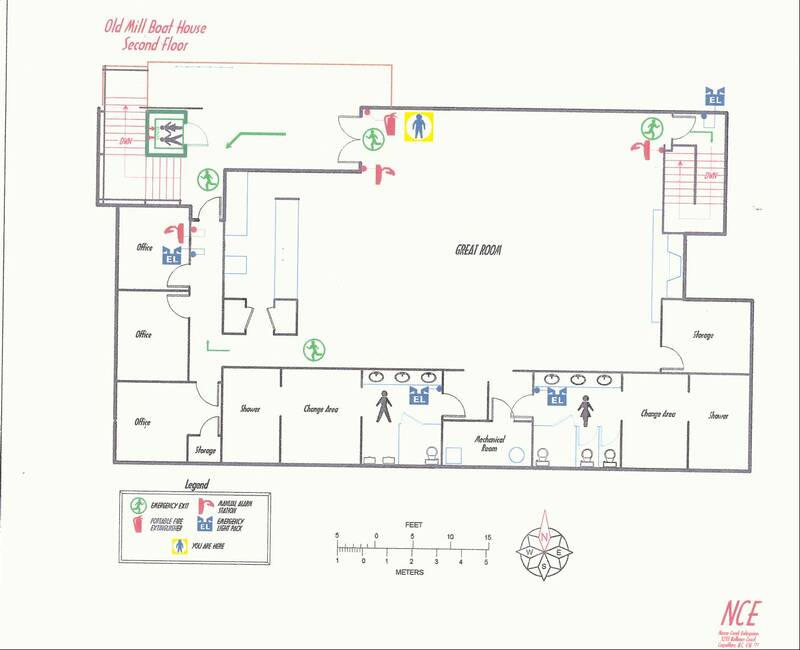 This room is appropriate for weddings, banquets, reunions, birthday parties, and meetings. 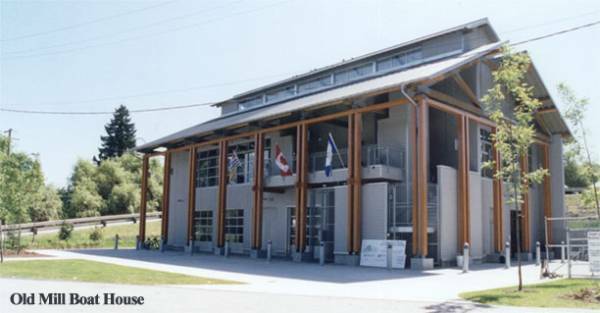 The concept for the Old Mill Boathouse began with the formation of the Port Moody Canoe Club and the Centennial Sailing Association in the late ’60s and early 70’s. For over 30 years, a core of members worked diligently for a water sports centre for Port Moody. Their hard work paid off with the approval of city council for the establishment of a non-powered small craft centre in 1999. The plans were laid out and the sod turned in July 2001. The building was officially opened May 2002. The building captures the history of the area by using 100 year old fir beam trusses in the ceiling from the original McNair Millsite. The operation of the building is funded entirely by rentals and the users and is managed by the Old Mill Boathouse Society, a non-profit organization promoting paddling, rowing and sailing.